Acute pain attacks from gallstones may require surgical treatment. Here's what you can expect when your gallbladder causes the condition. Gallstones can occur in the gallbladder, the small, pear-shaped organ located in the upper right abdomen—the area between the chest and hips. It's shown in green here, below the liver (red). 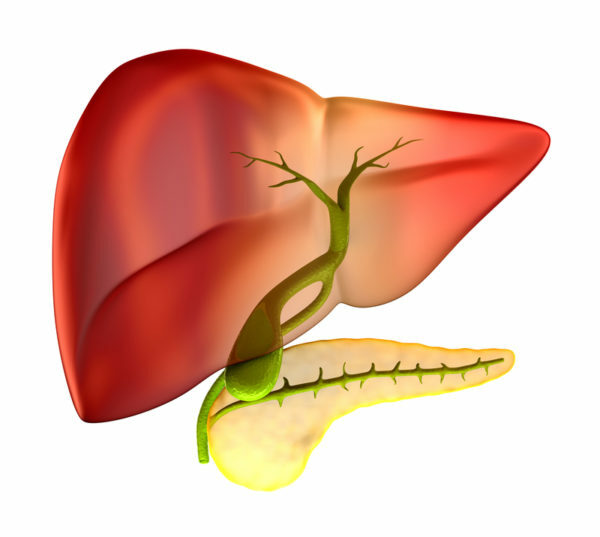 The gallbladder stores bile that has been produced by the liver. If you tend to suffer from sharp pain in your upper right abdomen after eating, and the pain radiates to your shoulder blade and back, you may have a gallbladder problem—possibly gallstones. Older adults are at particular risk, with gallbladder disease one of the most common causes of acute abdominal pain in people age 65 and older. The gallbladder essentially bridges the gap between the liver (which produces the bile your body uses to digest fats and absorb nutrients) and the small intestine. Bile produced by the liver is stored in the gallbladder until you eat. When you eat, the gallbladder releases bile into the small intestine, where it breaks down fats. If bile is prevented from exiting the gallbladder, you won’t properly digest fats, and also won’t absorb adequate amounts of fat-soluble vitamins like A, D, E, and K.
Plus, as Brian Jacob, MD, associate clinical professor of surgery at Mount Sinai points out, bile that isn’t released backs up in the gallbladder, which may cause inflammation and pain. Gallstones are the most common form of gallbladder disease. Formed from bile and cholesterol, they range in diameter from a few millimeters to several centimeters. In about 80 percent of people, the stones do not cause symptoms, but if they block the bile ducts (the tiny tubes that carry bile to and from the gallbladder) they can cause acute pain. Depending on where they lodge, gallstones also can cause pancreatitis (inflammation of the pancreas). “Pancreatitis can be very dangerous, and is another reason why somebody with gallstones should consider surgery to remove the gallbladder,” Dr. Jacob explains. Your risk for gallstones increases as you age. Women are more vulnerable, as are people with a family history of gallstones. Diabetes, obesity, rapid weight loss (for example, after gastric bypass surgery), and Crohn’s disease (an inflammatory condition of the intestine) also raise the risk, as does a diet that is low in fiber, and certain medications (for example, diuretics). Upper right abdominal pain that develops after eating, is not relieved by changing position, and may radiate to the right shoulder and upper back area. Nausea and vomiting due to fats not being broken down in the intestine. Fever. About half of people with cholecystitis develop a mild fever, but this is less typical in seniors. Jaundice (a yellowing of the skin and white of the eyes). Again, this symptom may not develop in older adults. General malaise. A feeling of discomfort and uneasiness—this is especially common in seniors, for whom other gallbladder symptoms may be vague. Gallstone blockages can resolve themselves, with stones spontaneously moving out of the bile duct and into the intestine. But prolonged blockages can cause cholecystitis (inflammation of the gallbladder). 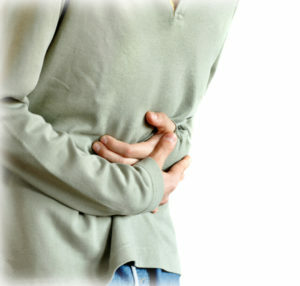 Acute cholecystitis symptoms include severe pain that persists for four or more hours, nausea and vomiting, and fever. However, elderly adults don’t always have these symptoms—instead they may feel tired and listless, with no appetite. If you have had repeated episodes of cholecystitis, or previous abdominal surgery, you may have internal scarring that makes open surgery necessary to remove your gallbladder. You’ll need to stay in the hospital for up to a week afterwards. For people who are in poor health and cannot undergo surgery, accumulated bile can be drained using a catheter which is inserted through the abdominal wall directly into the gallbladder. This approach is effective at resolving cholecystitis, but the external drainage tubes can affect your quality of life. Getting plenty of exercise, maintaining a normal weight, and eating a healthful diet that is high in fiber and low in fat can help you avoid gallstones. You also should pay attention to your heart health—a large 2016 study (Arteriosclerosis, Thrombosis and Vascular Biology, Aug. 18) suggested that people with a history of gallstones were 17 percent more likely to develop heart disease as they aged. Dr. Jacob emphasizes the importance of following your doctor’s advice for controlling any heart disease risk factors you have, such as high blood pressure and high cholesterol. “Poor nutrition and obesity are risk factors for heart disease as well as gallbladder problems, so eating better and getting plenty of exercise will help protect your heart as well as your gallbladder,” he says. Originally published in November 2016 and updated. abdominal pain, acute pain, appetite, blood pressure, cholesterol, diabetes, diet, exercise, feel tired, fiber, gallbladder, gallbladder disease, gallbladder health, gallbladder problems, gallbladder removal, gallbladder removal surgery, gallbladder removed, gallbladder symptoms, gallstone, gallstone attack, gallstones, health, heart disease, heart disease risk, heart disease risk factors, heart health, high blood pressure, high blood pressure and, high cholesterol, inflammation, Jaundice, nutrients, nutrition, obesity, pain, Pancreas, Pancreatitis, recovery, severe pain, skin, the gallbladder, thrombosis, tired, vitamins.